Our 2018-19 3D printer grant is now live! Our mission is to make 3D printing easy for everyone—especially educators and students. We meet hundreds of dedicated teachers and talented students who are brimming with great ideas for educational 3D printing. We created this grant to encourage imagination and innovation in 3D printing—and ultimately to award a deserving applicant with tools to help turn their educational 3D printing goals into reality. Any school or educational organization in the United States or its territories. Computer-aided design (CAD) and 3D printing offer amazing opportunities for students to learn important life skills and to make an impact in their communities. We’ve witnessed these impacts many times—from creating custom orthotics for a classmate, to saving a museum thousands of dollars by reverse engineering and 3D printing an obsolete lighting display part for pennies. We want to push the envelope further, to fuel leading-edge innovations in educational 3D printing. It’s our goal to engage and propel students, teachers, and schools forward to help them make the world a better place—one project at a time. We believe we can give ambitious students the tools they need, get out of the way, and great things will happen! We created this grant to get the ball rolling for schools who need help acquiring 3D printing technology. We hope the application process will stimulate discussion in classrooms and motivate students and teachers to brainstorm together on the potential uses of 3D printing technologies. For the grant winner, we hope having multiple 3D printers will light the spark of digital manufacturing in the minds of their students! The NWA3D STEAM Deal is worth $2,430! Our STEAM Deal is ideal for the classroom, and can be moved and shared between classes. 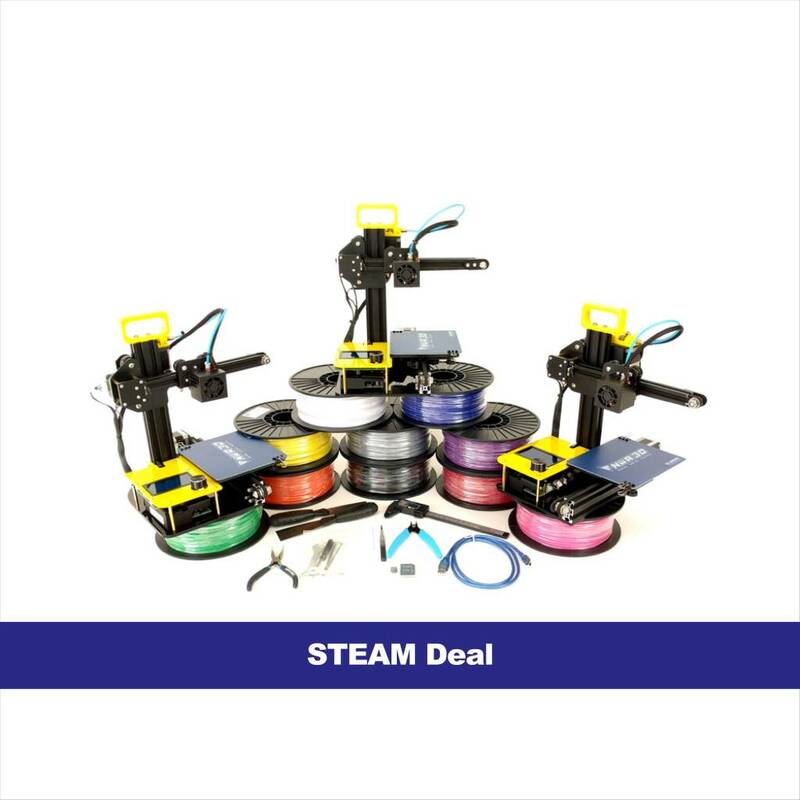 This bundle includes three NWA3D A5 printers, one rolling storage case, 10 1kg PLA filament colors, our 3D Printing Tool Kit (pliers, scraper, tweezers, digital caliper, nozzle cleaner, and an SD card with adapter), and one-year access to PrintLab Classroom 3D printing lesson plans. To help ensure success, the NWA3D STEAM Deal also comes with unlimited digital training sessions with a certified teacher, training and troubleshooting documents, lesson plan support, and a One-Year, No Questions Asked Parts and Service Warranty for educational organizations. Delivery will be scheduled to coincide with videoconference training at your educational organization. Application deadline is May 6, 2019 at 4:00 pm CST. Winner will be announced on May 20, 2019. Please click on the link below and answer the application questions in a document, and then share or email your submission to create@nwa3d.com.